Earth's Ice Is Melting Much Faster Than Forecast. Here's Why That's Worrying. COPENHAGEN -- For me it was only after eight years of studying Greenland -- installing and maintaining a network of on-ice climate stations and examining how much snow evaporates from the island -- that I suddenly realized glaciology textbooks needed a major revision. This was 2002. Prior to the epiphany, conventional knowledge held that the ice sheet was frozen at its bed and so the reaction time of the ice sheet to climate warming was measured in tens of thousands of years. A heck of a long time. Climate warming had just infiltrated Greenland glaciology in earnest. Summer melt water, it turned out, drains down quickly to the bed, lubricating the glacier's flow. Suddenly we realized an expanding melt season meant the ice sheet would be sliding faster, longer. 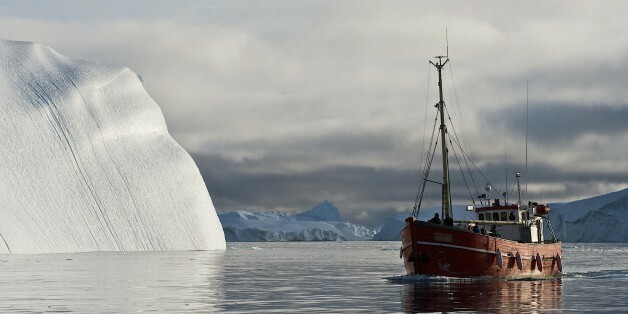 It was not to be the only time our philosophy got hit with a major surprise that connected the ice sheet with climate change and the threat of abrupt sea level rise. The next one came in 2006. Somehow all marine-terminating glaciers across the southern half of Greenland doubled in speed simultaneously between 2000 and 2005. We didn't yet know why. In the meantime, scientists tried defining a plausible upper limit for the contribution to sea level rise from Greenland's ice. That was at a time when surging glacier speeds -- ice flow -- was thought to be the dominant conveyer of ice loss, and would be for the foreseeable future. Well -- surprise! -- it became clear that for six years in a row, starting in 2007, ice loss from surface meltwater runoff took over the lead position in the competition for biggest loser. From 2007 to 2012, nearly each summer set higher and higher melt records, owing to persistent and unforseen weather that by 2012 would become a signature of climate change. The competition between how much ice is lost through glacier flows into fjords versus meltwater runoff is intimately synergistic with meltwater interacting with ice flow all along the way. 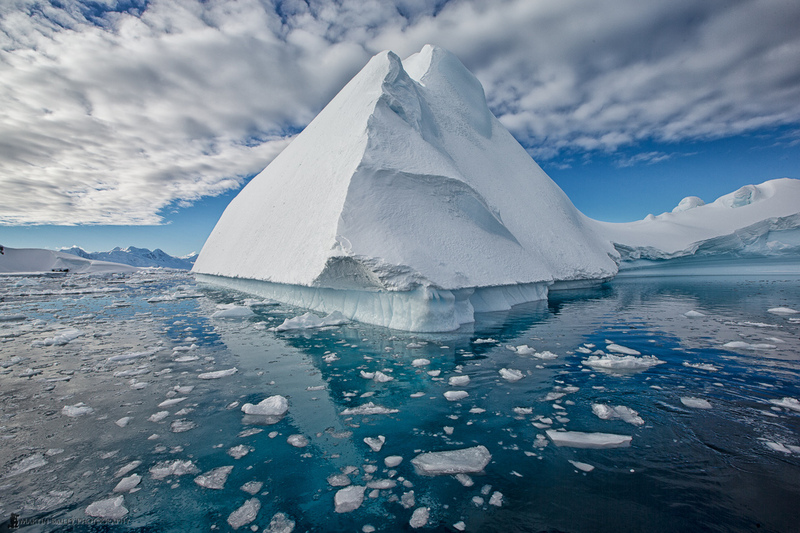 Increasing melt sends more water down through the ice sheet, softening the ice so it flows faster. Once at the bed the water lubricates flow. Squirting out the front of glaciers into the sea, the meltwater drives a heat exchange that undercuts glaciers, promoting calving, loss of flow resistance and faster flow. Put it this way: in Washington, D.C., to know what's happening, you follow the money; in Greenland you follow the meltwater. Put it this way: in Washington, D.C., to know what's happening, you follow the money; in Greenland you follow the meltwater. Glaciologists became oceanographers when they realized, in 2008, the trigger effect for galloping glaciers was warm pulses of subtropical waters that undermine glaciers at great depth in the sea, at the grounding lines where this warm water can invade. Indeed, ocean warming is arguably the climate change story. The planetary energy imbalance due to the enhanced greenhouse effect is loading far more heat into the oceans than the atmosphere or land. The world is 70 percent ocean-covered after all. While there were signs of a warming hiatus in air temperatures from 1998 to 2012, the ocean continued to heat up, an equivalent of four Hiroshima bombs, per second, all day, every day. The increase is continuing as we load the atmosphere with CO2. The fundamental climate heating issue is a problem of too much of a good thing. The natural greenhouse effect -- a good thing -- keeps temperatures tolerable at night. But it has been enhanced by more than a century of people externalizing the environmental costs of stupendous economic growth, loading the atmosphere now with 42 percent more carbon dioxide, 240 percent more methane, 20 percent more nitrous oxide, 42 percent more tropospheric ozone, etc. We have far too much gaseous carbon compounds now in our atmosphere, people. The carbon pollution is, by the way, making our oceans too acidic, threatening the base of the marine food chain. Would someone step forward and deny the changing ocean chemistry? Do I digress? We have far too much gaseous carbon compounds now in our atmosphere, people. The key question, as I see it, is how to project what the sea level will soon be due to ice sheet melting. But this is confounded by us not really knowing what to expect. We keep being surprised by nature being more sensitive and complex. As the science develops, we see more interconnection, where multiplying feedbacks produce surprisingly fast responses. Will there be some saving self-regulation of human-induced climate warming and its melting land ice consequences? The enormous increase of heat in our oceans, from past decades of enhanced greenhouse effect, negates any hope that negative feedbacks or even solar output will prevent a much warmer world. The few negative feedbacks we have found for ice -- like more snow as a result of a warming climate, more reflective frost, more efficient sub-glacial water transmission -- are clearly being outdone. And at the global scale, despite some negative feedbacks like more clouds, clearly we are not seeing net cooling. Feedbacks, whether positive or negative, only do their thing after the initial effect. Negative feedbacks don't reverse the perturbation. Seemingly the biggest issue with abrupt sea level rise comes from the now unstoppable loss of key sectors of west Antarctic ice and the discovery of more marine instability than we thought elsewhere. Like glaciers thinning rapidly in east Antarctica. Or in Greenland where improved bedrock maps reveal a marine connection an average of 40 kilometers further inland than previously thought. Or like how new fjord underwater mapping reveals greater fjord depths, increasing the odds that deep warm ocean water can communicate with more Greenland glaciers than previously thought. Surprise, surprise, surprise. I'd say we are in for more surprises. If the past decade of scientific inquiry is any indication, I'd say we are in for more surprises. That notion is further supported by the fact that climate models used to project future temperatures lack key processes that likely reinforce warming or the effects of warming, not regulate it. Despite decades of progress by many clever scientists engaged with climate modeling, climate models used to inform policymakers don't yet encode key pieces of physics that have ice melting so fast. They don't incorporate thermal collapse -- ice softening due to increasing meltwater infiltration. Climate models also don't yet incorporate increasing forced ocean convection at the ocean fronts of glaciers that forces a heat exchange between warming water and ice at the grounding lines. Climate models don't yet include ice algae growth that darkens the bare ice surface. Climate models don't yet prescribe background dark bare ice from outcropping dust on Greenland from the dusty last ice age. Climate models don't include increasing wildfire delivering more light-trapping dark particles to bright snow covered areas, yielding earlier melt onset and more intense summer melting. As a result of some of these factors and probably some as yet unknown others, climate models have under-predicted the loss rate of snow on land by a factor of four and the loss of sea ice by a factor of two. Climate models also don't yet sufficiently resolve extended periods of lazy north-south extended jet streams that produce the kind of sunny summers over Greenland (2007-2012 and 2015) that resulted in melting that our models didn't foresee happening until 2100. While individual climate models come close to observations on this or that piece of the complex big picture, what ends up in global assessment reports intended to help guide policy decisions and national discussions of climate change are very conservative averages of dozens of models that don't include the latest, higher sensitivity physics. So, alas, when it comes to ice, how fast it can go and how fast the sea will rise, if I were a betting man, I'd put my money on it going faster than forecast.